Adityanath will launch the party's poll campaign in the state from Saharanpur after paying obeisance at the Shakumbari Devi temple. With less than 20 days to go for the Lok Sabha elections, the Bharatiya Janata Party (BJP) is all set to kick off its poll campaign in Uttar Pradesh on Sunday. The party has also planned about 40 public meetings across the state on March 26. 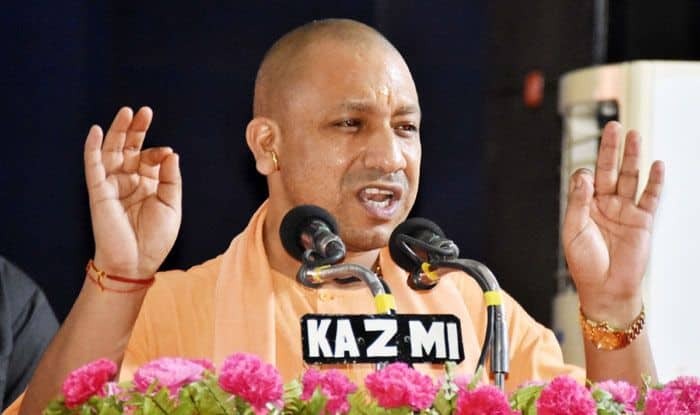 A senior BJP leader told IANS that Uttar Pradesh Chief Minister Adityanath will launch the party’s poll campaign in the state from Saharanpur after paying obeisance at the Shakumbari Devi temple. He will also address a public meeting near the temple. BJP President Amit Shah had also visited the Shakumbari Devi temple ahead of the 2017 Assembly elections from where he kicked off the “Parivartan Yatra” in the state. Adityanath’s deputy Keshav Prasad Maurya will kick off the party’s election campaign in Khiri district. He is also expected to visit the Datia Pitambara Peeth temple on the borders of Uttar Pradesh and Madhya Pradesh before addressing public rallies. In the 2014 Lok Sabha elections, BJP’s Raghav Lakhanpal won from Saharanpur, beating Congress candidate Imran Masood by a margin of over 65,000 votes. This time, the seat will also be contested by the BSP-SP-RLD alliance. A joint rally of Bahujan Samaj Party (BSP) supremo Mayawati, Samajwadi Party (SP) chief Akhilesh Yadav and Rashtriya Lok Dal (RLD) chief Ajit Singh is scheduled in Saharanpur’s Deoband on April 7.